I’m an accidental gear-geek, unintentionally afflicted with a budget-burning desire to learn about, touch, and own the latest, greatest, and lightest the industry has to offer. Gear-geekyness is something that happens over time, and like a craft coffee addiction, it sneaks up without notice until one day the cost for a cup unicorn-infused java surpasses every other credit card charge for the month. But by then it’s too late, and a latte isn’t a latte unless it’s made with mermaid kisses or pixie dust. While in Utah last month, I had the opportunity to visit Outdoor Retailer for a day. Walking through the doors of the convention center felt a bit like seeing Willy Wonka’s chocolate river for the first time. Surrounded by the things I desire most, it was mesmerizing and labyrinthine, though noticeably lacking in Oompa Loompas. Many of the products I perused really seemed to fall short of the “latest and greatest” I was searching for (caveat: I was only at the show for four-five hours), but I did manage to find a few items that really seemed innovative. Snowshoeing and Nordic skiing had a baby called the Outlander Ski. In theory, this ski will allow you to climb up hills without the use of skins (or herringbone technique) and easily cut new trail while floating in powder, all in the comfort of your own hiking boots. One-way, built-in traction teeth (they call it a waxless pattern) on the underside of the ski make uphill climbing easy so you can say goodbye to skins and herringbone-stepping. Shorter than the average backcountry or Nordic ski, they are easier to maneuver through tighter trails Bindings look and function like snowboard bindings (read: easy to get in and out of) and are designed to work with almost any winter or hiking boot. Why are these features rad? Less gear with all the function: Unlike traditional backcountry or Nordic skis, with the Outlanders you don’t have to buy yet another pair of specialized boots or skins. Less work with all the fun: Traditionally, climbing uphill in skis requires the skier to either A. stop and put skins on or B. use a technique like side-stepping or herringbone-stepping. Option A takes time and option B. takes time and effort (sometimes A LOT of effort). The built-in traction on the Outlander is the solution to both of these without limiting the downhill fun. Another example of multi-purpose, snow-related footwear. These are microspikes and snowshoes in one. Carry less, do more: When snowshoeing, carrying spikes is recommended. The trail can transform from powdery-fluff to narrow ice bridge, requiring a level of grip and mobility that can prove challenging with snowshoes. But carrying spikes in a pack not only adds weight (I try to go as light as possible), but they also need to be placed in a spot where they can’t pull or tear other items in your pack. Put ‘em on, leave ‘em on: Microspikes and Yaktrax are fine on ice and dirt, but rocky sections of trail generally tend to break Yaks and wear on micro-spikes. Switching between spikes and snowshoes takes time, and getting frozen snowshoe straps to release with cold hands can also be a challenge. GV claims these can be worn over any terrain, with or without snowshoes. 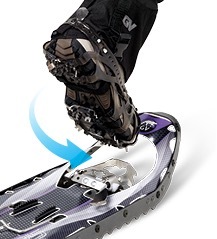 And with the locking system, fiddling with frozen snowshoe bindings is a thing of the past. Ever wish you had some bunny slippers to throw on after a long day of boot-wearing? Enter Pakems. These outdoor and socially acceptable bunny-slipper equivalents provide all the warmth and comfort of slippers without the bulk or muddy pink fur. Because renting a locker at the resort or hauling the weight of extra shoes while backpacking is un-fun and now no longer necessary. I’m a huge fan of packing light (pun intended). This solar powered inflatable lantern weighs just 3 oz and is a must-have for camping. The company story is pretty awesome too. Portable and lightweight, it folds down to about the size of an iPhone5 (or maybe smaller) and weighs less. Not blinded by the light: Whether cooking dinner or sitting around a camp-fireless campsite, headlamps can be blinding sources of light and lanterns can be large and impractical while overnight or long distance trekking. The LuminAID products offer a great (well lit) solution without forfeiting pack space or gaining added weight. These Anti-theft travel bags have come a long way from passport necklaces and bulky plastic cases. They aren’t bad to look at either. 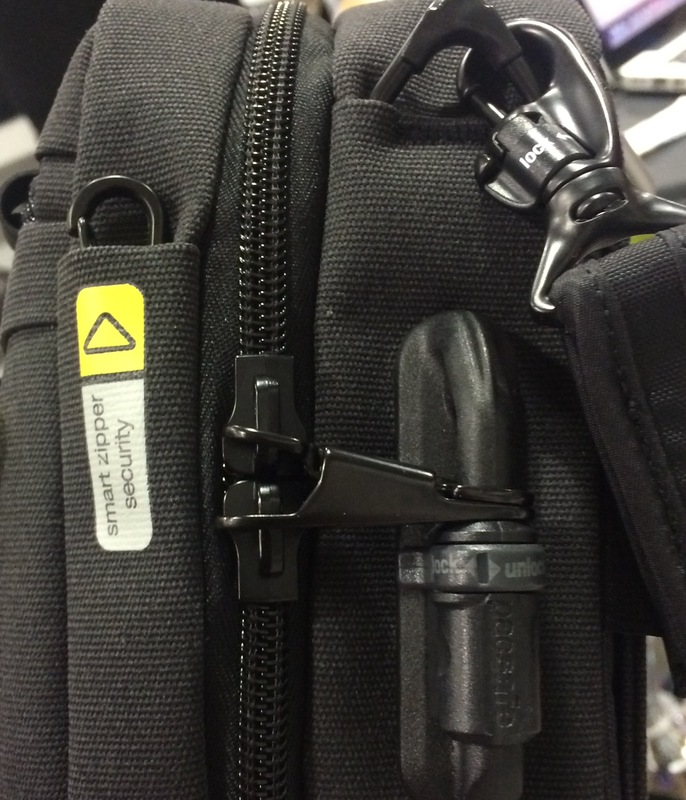 Because traveling is awesome, worrying about your belongings isn’t.